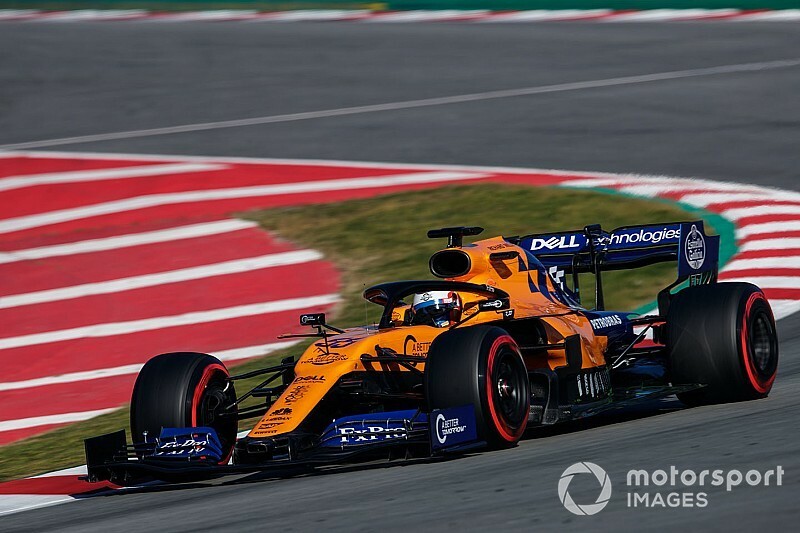 Sainz set his benchmark time of 1m17.144s within the first two hours of the morning before going on to complete more laps than any other driver with 130. His leading time never looked close to being threatened until the final 20 minutes of the day. Racing Point - which again lagged behind in the mileage stakes - bolted a set of C4 tyres on Sergio Perez's car, which he used to go second with 1m17.842s lap that trailed Sainz's best by 0.698s. Perez's late effort was enough to depose Sebastian Vettel from his long-held second place, despite Ferrari's lack of running that yielded a total of 41 laps. That was because Vettel had crashed at Turn 3 during the morning due to a mechanical problem. 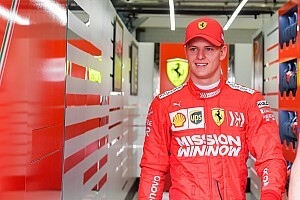 Ferrari initially confirmed the SF90 would not be seen for "several hours" and Vettel said the damage made finding the cause of the crash all the more difficult. The Italian team then spent the majority of the afternoon conducting what it called "through checks" before Charles Leclerc undertook his one installation lap. Leclerc had also lost track time on Tuesday after cooling system checks had to be made, before he then handed the car over to Vettel for that afternoon. While Perez had the best lap on the red-walled tyres, Alfa Romeo's Kimi Raikkonen moved fourth inside the last hour with a 1m18.209s effort on the C4 compound on his way to a total of 113 laps. But Raikkonen then stopped on the after Turn 6 as the session ended. Raikkonen's best time also knocked Red Bull's Max Verstappen down into fourth after the Dutchman spent the majority of the day on the C3 tyre, with some running undertaken on the harder C2s. 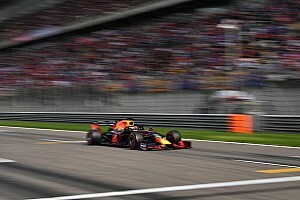 Verstappen fell a further place when Romain Grosjean completed a C5 run in the final 20 minutes that heralded a 1m18.330s effort good enough for fifth. Toro Rosso's Daniil Kvyat was seventh after setting his best time on the C3 tyre and he demoted the two Mercedes drivers into eighth and ninth. 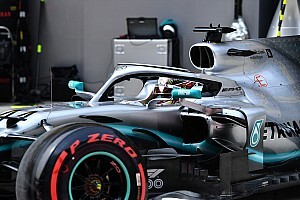 The Mercedes pairing combined to set 177 laps after Valtteri Bottas's curtailed Tuesday afternoon running cost Mercedes the chance to validate two different aero designs. Bottas recovered in the morning to set a total of 75 laps and a best time of 1m18.941s, before Hamilton clocked 102 laps and marginally beat his teammate's time. Renault built on its morning spent focussing on race simulations with Daniel Ricciardo. Nico Hulkenberg took over in the afternoon and also completed longer runs, but gradually improved his time with the mid-range C3 tyre to take a best lap of 1m19.056s. Hulkenberg's performance runs meant he ended up almost three seconds clear of 12th-placed team-mate Ricciardo, with the pair split by Williams's Robert Kubica. 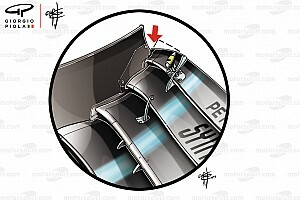 Kubica had continued to help Williams understand the softer C4 and C5 tyre, using the former to set his quickest time.